That life, and its many complications, can take us from that place. GPS for the Soul measures your heart rate and heart rate variability, which taken together, indicate your level of balance and harmony. If you happen to be imbalanced or feeling a lack of harmony, GPS for the Soul can connect you with the things that help you return to that centered place, using music, poetry, breathing exercises and pictures of your loved ones. 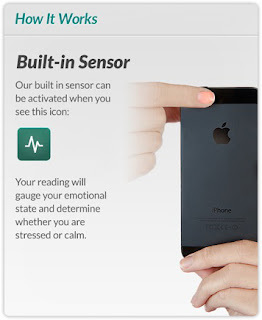 Once you have used your iPhone’s camera lens to measure your stress level, GPS for the Soul will display your data along a color spectrum. Each color, from dark red (you may be stressed) to blue (you are in sync), corresponds to a different emotional state. The app then invites you to launch a guide. Guides are designed to produce positive emotions, which can synchronize your heart rhythm and reduce the production of cortisol, the hormone our body releases in response to stress. GPS for the Soul lets you play one of the guides we have assembled for you, or you can create your own. 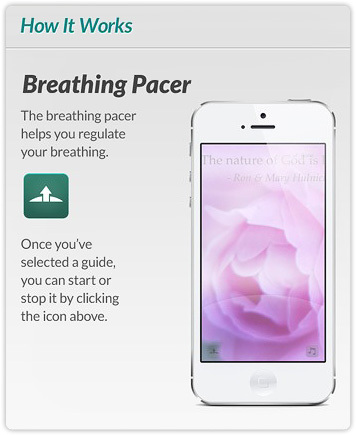 Once you’ve selected a guide, you can start the breathing pacer, which helps you regulate your breathing and move deeper into your centered place. GPS for the Soul’s activity feed lets you see how your friends are feeling and what guides resonate with them. You can "favorite" a friend’s guide, share one that resonates with you, or leave a comment. The Internet and the rise of social media have given us amazing tools to connect, and to bring about change in the world. At the same time, our 24/7 connection to the digital world often disconnects us from the real world around us – from our physical surroundings, from our loved ones, and especially from ourselves. We see the effects of this in every aspect of our lives. And the consequences can be really damaging, in terms of our health, our jobs, and our relationships. That’s why we have created GPS for the Soul. We hope GPS for the Soul will be just the beginning of a journey to help you reconnect with your creativity, your intuition, and of course, that centered place where peace and wisdom arise. 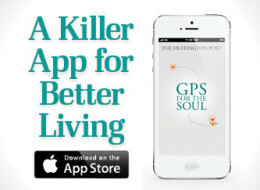 That’s why HuffPost, along with its development partners HeartMath and bLife, created GPS for the Soul. Requirements: Compatible with iPhone 3GS, iPhone 4, iPhone 4S, iPhone 5, iPod Touch (3rd generation), iPod Touch (4th generation), iPod Touch (5th generation). Requires iOS 5.0 or later. This app is optimized for iPhone 5. Go to Apple’s App Store with your iPhone to download this free app!